It makes sense to rally around the flag and support our fellow Americans in a genuine time of crisis. 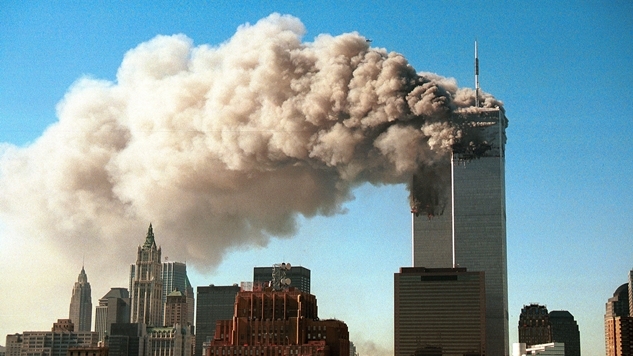 I wrote this morning how offensive President Trump’s non-statements were on today’s anniversary of 9/11, but there is a disconnect in how we felt on Sep. 12, 2001 and every day thereafter. We like to remember 9/11 as a paragon of American unity thanks to the heroism of our first responders and the widespread kindness demonstrated towards those suffering from the largest attack to hit American soil in half a century. On 9/11/2001, we did see some of the best that America has to offer. Looking back, many of us frame our remembrance of that fateful day as such. The problem is that we were not the same people on Sept. 11, 2002 as we were the year before. New York City was initially a source of empathy, but soon after, it began its descent into becoming “not Real America” in the mind of a certain kind of voter who vociferously supported the 2008 Republican Vice Presidential nominee. Everyone had initially rallied around our war in Afghanistan, and that conflict made sense in that it was a retaliatory measure against an attack targeting American citizens. But on 9/11/2002, we were not talking about Afghanistan—but Iraq. The Bush Administration had used our collective anguish over 9/11 to justify a different war against a nation with zero direct culpability in the attack. The fact that a group of Muslims directed 9/11 and that Muslims lived in Iraq was enough for the Bush White House to try to justify their invasion of Iraq, and it worked. As the Bush Administration works to strengthen the support for a war against Iraq, it is sowing a dangerous confusion about the relationship between Al Qaeda and the regime of Saddam Hussein. Arguing, as the president did last week, that the two are “equally as bad, equally as evil and equally as destructive” — and that “you can’t distinguish between Al Qaeda and Saddam when you talk about the war on terror” — reinforces widely held misunderstandings about the extraordinary danger of the new religious terrorism. 9/11 was wildly successful from Osama bin Laden’s perspective—not just because it murdered over 3,000 Americans—but because it was an event used to divide us at home while drawing us into unwinnable forever wars abroad. Simply put, the tragedy of Sept. 11 was perhaps the greatest thing to ever happen to the business of defense contractors. Lockheed Martin closed trading on 9/10/2001 at $38.32 per share, and it’s presently trading at $321.59—an 839% increase. Raytheon closed trading on 9/10/2001 at $24.85 per share, and it’s presently trading at $198.79—an 800% increase. Without 9/11, the endless-by-design War on Terror that underwrites those companies’ massive profitability would have been a far more difficult sell to the American public. Even though we are in the fourth year after the events of September 11th, Bush is still engaged in distortion, deception and hiding from you the real causes. And thus, the reasons are still there for a repeat of what occurred. President Bush manipulated our collective anguish over 9/11 to justify a needless occupation of Iraq, and the fight over that war’s legitimacy set the stage for years of partisan rancor to come. By equating two literal opposing beliefs in the Muslim world, Bush also sowed the seeds for a wave of Islamophobia to envelop America. There is a direct line between our collective response to the pain of 9/11 and President Donald Trump. While that fateful day temporarily united us, not even a year later, we were squabbling over what it meant to be an American, beginning our descent into the intractable partisan fights that still rage on today. Our (initially) legitimate war in Afghanistan is still ongoing, partially thanks to the fact that George W. Bush abandoned it in favor of chasing ghosts (and $7 billion no-bid oil contracts for his vice president’s former company) a little over a year later in Iraq. Our Iraqi disaster is still ravaging the Middle East, and it has created an untold number of unforeseen consequences—like ISIS (which initially began as Al Qaeda in Iraq). On this day, it’s important to remember not just the unimpeachable heroism of our first responders and those who risked their lives to help their fellow Americans, but also how our elite political class seized on that raw emotion to divide us. The result is a country that has lost its identity 17 years later, while endlessly profitable war (for defense contractors) is waged in our name. Even after his death, Osama bin Laden continues to win the battle he launched before the tragedy of 9/11, while Americans still can’t even agree on who our real enemies are. 9/11 is an object lesson in how the true aim of terrorism is to reverberate in the psyches of its victims for decades to come.